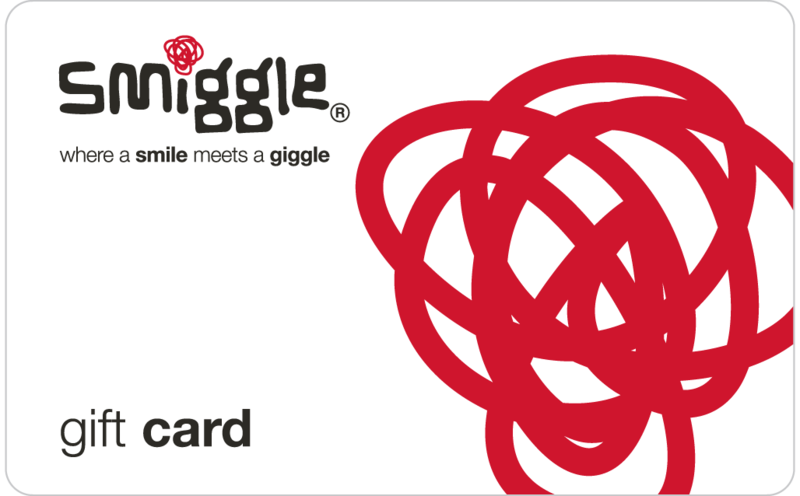 Give the gift of a smile & giggle today! 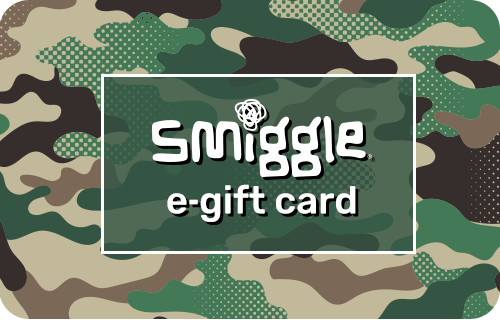 You choose the card & amount, they choose the gift. It's smiles all around! 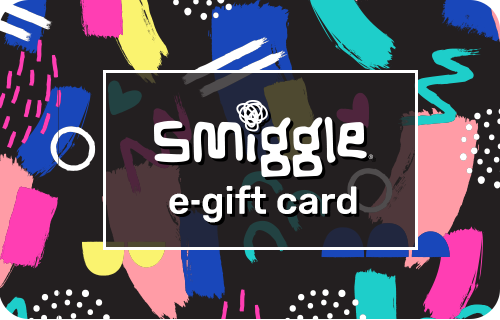 Get gifting with Smiggle! 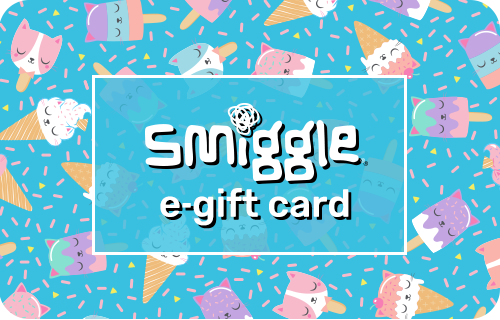 You can choose to deliver via standard delivery for $3.99 or express delivery for $6.99 and add a personalised message when you checkout. 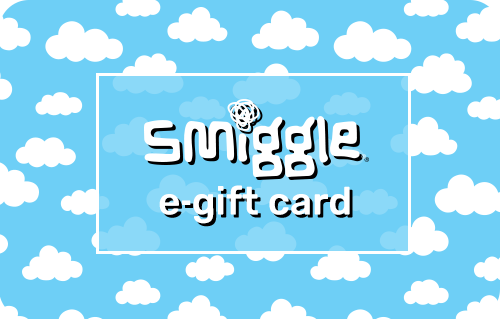 The gift card will be delivered to the shipping address you provide during checkout. 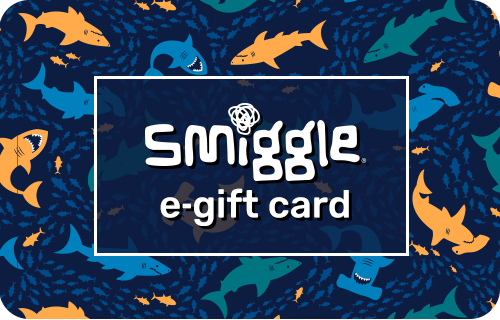 Enter a gift card value between $20 and $250 in the Gift Card Amount. 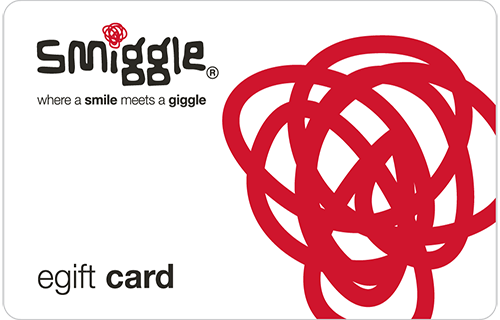 Redeemable at Smiggle Australian stores and online at smiggle.com.au. 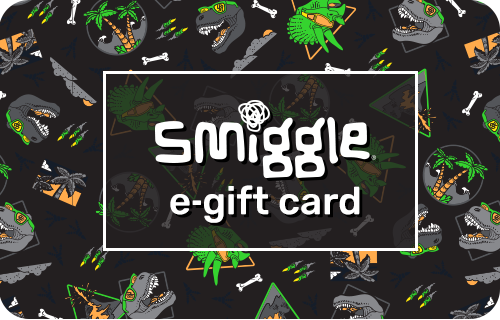 Delivered via email and perfect for last minute gifts. You can also add a personalised message when you checkout. 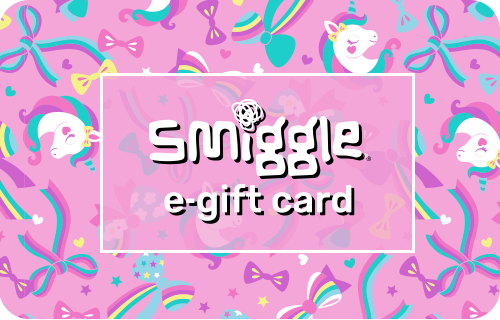 Enter a gift card value between $20 and $250 in the Gift Card Amount.Redeemable at Smiggle Australian stores and online at smiggle.com.au. 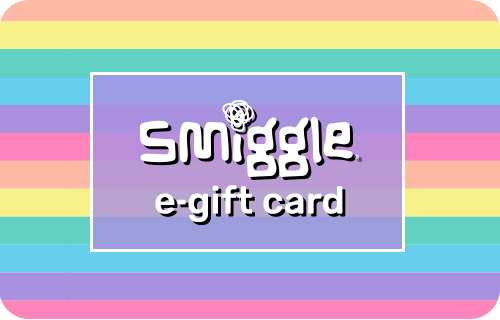 Note: although eGift Cards will be sent instantly to your nominated email they will not be activated until 24 hours after purchase.